Our LED outdoor lighting can change the way you use your backyard at night! 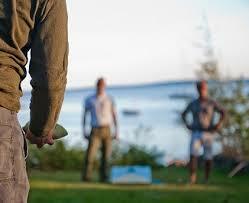 As summer draws to a close we are reminded of the precious time spent outdoors among family and friends. Here at Outdoor Lighting Perspectives of San Antonio and the Hill Country we strive to make the time you and your family spend outdoors in the evening just as enjoyable as those during the day. LED is our most popular type of lighting because of all the benefits that go along with installing an LED system. These include savings in energy costs, durability and energy efficiency. However, there is an added benefit to choosing on of our LED systems that you rarely hear about. 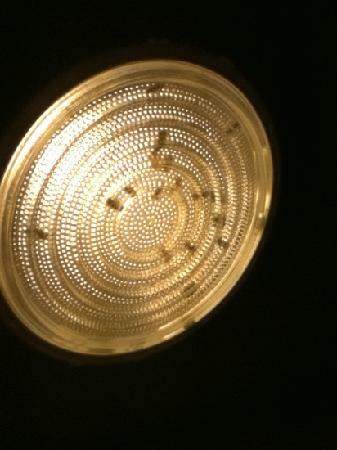 Less bugs in the yard, means less bugs to clean out of light fixtures too! Our location, along with many other Outdoor Lighting Perspectives locations, choose Cree LED outdoor lighting for our LED outdoor lighting installations. Researchers at Cree recently stumbled upon an added benefit of this LED product that can be added to the long list of reasons using LED in the landscape is a smart choice; they discovered insects are less likely to be attracted to LED outdoor lighting than other genres of outdoor lighting! LED outdoor lighting can ensure this game continues well into the evening! Not only is this news welcomed by homeowners as a way to decrease the amount of pests that interfere with outdoor living, such as the dinner party on your deck, or a game of corn-hole in the backyard on a late summer evening, it also decreases the risk of being bitten by a mosquito that could transmit an illness onto you! As of 8/12/2014, the Texas Department of State Health Services has already confirmed 16 cases of human West Nile illness in Texas this year. Any efforts to discourage coming into contact with mosquitoes, especially during the evening hours when most species feed, is beneficial. Please visit our landscape and garden lighting photo gallery and our deck and patio lighting photo gallery located on our website to see more examples of our LED outdoor lighting designs. This home is big on curb-appeal resulting from well-appointed architectural and landscape lighting around the home. Most people view the holiday season as a time when the impetus of outdoor lighting design is strictly geared toward holiday lighting. It is true that outdoor holiday lighting can add beauty to your home and landscape and enliven the holiday season, but you can also benefit from moving ahead with other genres of outdoor lighting as well. If you are looking for one of the best investments in outdoor lighting to gain long-term benefits and still enhance your holiday home, landscape lighting is among the best choice. Imagine being able to welcome your friends and family during the holiday season with a well-lit and aesthetically pleasing landscape. The possibilities that professional landscape lighting encompass are endless. Landscape lighting adds value to your home and property while adding the finishing touch to your landscape design. Soft washes of light will greatly boost the WOW factor of your home and landscape during all seasons. Adding landscape lighting will give you the chance to show off your creativity and any unique features present on your home and landscape. Adding accent lighting throughout the landscape, such as path lighting will make your yard safer for evening travel, while creating ambiance. Adding landscape and garden lighting adds to your homes curb appeal. Adding specialized landscape and garden lighting, such as tree lighting will add depth and mystery to your evening landscape. Adding low-voltage landscape and garden lighting such as our LED lighting will save you money in operational costs over traditional outdoor lighting. Low-voltage lighting consumes about 1/3 the electricity compared to traditional systems and is more environmentally sustainable from a “green” perspective. Another option to consider, outdoor lighting makes the perfect gift! Outdoor Lighting Perspectives of San Antonio can help you put together an unforgettable outdoor lighting package for that special someone, or even for yourself. 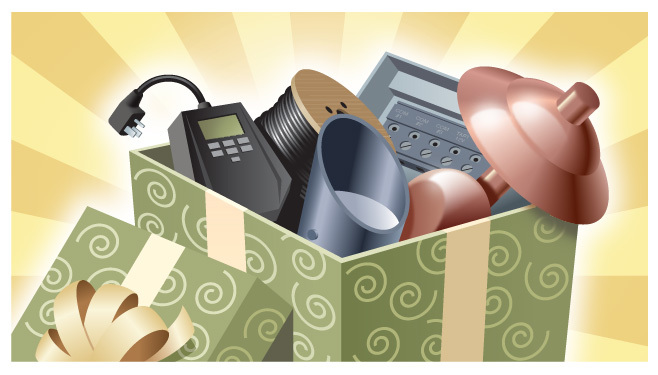 Is that special someone in your life always the hardest to choose a holiday gift for? If so, giving the gift of light will be the one gift that keeps on giving all year! Outdoor Lighting Perspectives of San Antonio can help you put together an unforgettable outdoor lighting package for that special someone, or even for yourself. If you are looking for the outdoor lighting application that will give you the most enjoyment and benefit from your investment, consider landscape lighting. Contact Outdoor Lighting Perspectives of San Antonio and The Hill Country to discover the best kept secret to achieving the ultimate benefit from your evening landscape. See more inspiring imagery by visiting our landscape and garden photo gallery located on our website today. Just when you thought LED outdoor lighting couldn’t get any better, Outdoor Lighting Perspectives of San Antonio discovers an unexpected benefit of using LED in the landscape. 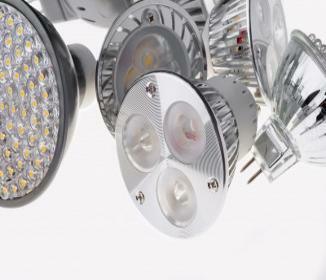 LED lights are already deemed among the most long-lasting, energy-efficient and safest lights – now there is an added benefit. LED outdoor lighting is among the most beneficial type of outdoor lighting a homeowner can invest in. LED lighting is more energy-efficient and leaves less of an impact on the environment than other types of outdoor lighting. It can save a homeowner thousands in energy costs over the LED’s lifetime. In addition, since they contain no glass components, they are not vulnerable to vibration or breakage like conventional bulbs and make the perfect lighting for outdoor applications. LED lights are free of toxic chemicals. Most conventional fluorescent bulbs contain a multitude of materials such as mercury that are dangerous for the environment and make disposal dangerous. Since they contain no toxic materials and are 100% recyclable, they will help you reduce your carbon footprint by up to a third. LED is safer in many regards too because it generates light from cool burning technology, and it uses less wire to install properly. LED outdoor lighting is changing the way we see outdoor lighting. Outdoor Lighting Perspectives of San Antonio and the Hill Country is the areas premiere outdoor lighting design and install firm when it comes to all genres of outdoor lighting including LED. Our location, along with many other Outdoor Lighting Perspectives locations around the country, primarily uses Cree LED outdoor lighting in our LED outdoor lighting installations. Researchers at Cree recently stumbled upon another added benefit of their LED product that can be added to the long list of reasons using LED in the landscape is a smart choice. Add the discovery of insects being less likely to be attracted to LED outdoor lighting to the already long list of good things about LED. LED outdoor lighting attracts less insects into your landscape, including the disease carrying mosquito! One of life’s more unpleasant chores is cleaning out dead bugs from light fixtures. 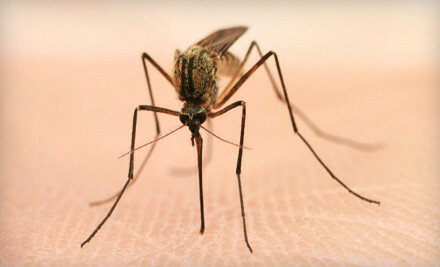 This news comes as a breath of fresh air to San Antonio homeowners where last year alone Texas had 89 deaths as a result of the mosquito-borne illness, West Nile Virus. Any means of deterring insects into the landscape, especially mosquitoes, is a huge benefit to San Antonio homeowners. Imagine being able to spend time on your deck, patio or outdoor living space not hassled by bugs, or bitten by mosquitoes in the evening? The discovery of this added benefit to using LED also cuts down on time and money spent to maintain your outdoor lighting installations. One of life’s more unpleasant chores is cleaning out dead bugs from light fixtures. If you’ve ever emptied a pile of dead flies and moths from a fixture, you know light fixtures of all types are notorious for attracting and collecting insects. Just imagine the time you can spend elsewhere enjoying the time saved not cleaning bugs out of light fixtures annually. San Antonio’s unique homes make the perfect backdrop for architectural lighting. San Antonio is full of beautiful homes. The area’s rich history and vibrant diversity are not only reflected in its people, but also in the homes they live in. The architectural roots of San Antonio’s homes include Spanish, Mexican, Native American and even French influences. From cottage style bungalows to Mediterranean inspired estates everywhere you look there is something new and unique to drink in. Our residents also cultivate the beauty of their homes through extensive landscaping. With this in mind you might think making your home and landscape even more timeless and enchanting is impossible, Outdoor Lighting Perspectives of San Antonio reminds you that no home is complete without the right accessory – outdoor lighting. Architectural and landscape lighting bring this stunning house to life in the evening. The combination of your home’s distinct features and landscape can be taken a step further with the addition of outdoor lighting. Architectural lighting is the best way to enhance your home’s beauty and bring it out of the dark. 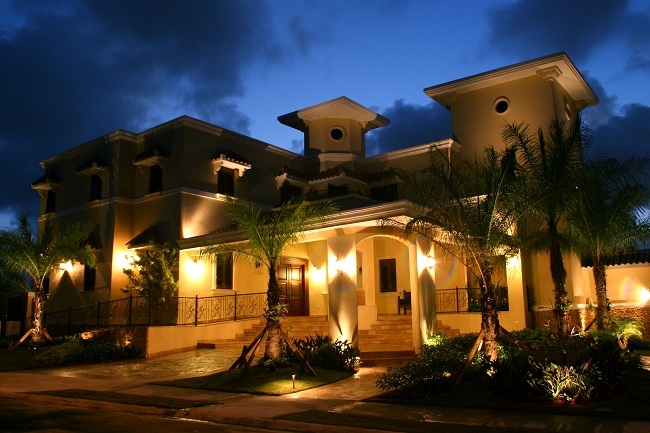 Our architectural and facade lighting emphasizes your homes width, depth and height. Our proven outdoor lighting techniques and exclusive fixtures bring out the textures in your homes facade. These textures might incorporate stone, brick, stucco or a combination of mediums. Proper outdoor lighting will allow you to appreciate the texture that you see during the day into the evening. We can take an already beautiful home and turn it into a work of art with outdoor lighting. 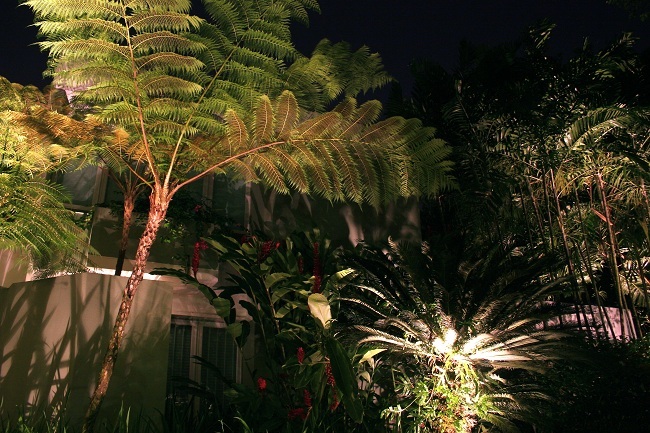 Our landscape lighting can help you achieve your own tropical paradise. Our architectural outdoor lighting is just the tip of the iceberg, when you add landscape and garden lighting into the mix your property takes on an elegant persona of balance and beauty. Our landscape lighting applications vary from landscape to landscape. What works best for one homeowner’s property may not give you the effect you desire. This is why we put together a custom landscape lighting plan that will focus on what parts of your landscape you wish to enhance. These can encompass a wide range of lighting techniques such as tree lighting, up lighting and even garden path lighting. We can customize your landscape to draw attention to a single tree and accentuate its features, or illuminate a group of trees within the landscape. We treat your landscape with as much appreciation as that of your home. No two homes are the same, and no two landscapes are the same. Outdoor Lighting Perspectives of San Antonio and The Hill Country realizes this and works diligently to give each of these facets of your property the attention it deserves. If you are ready to bring your beautiful home and landscape out of the shadows contact Outdoor Lighting Perspectives of San Antonio and The Hill Country today. 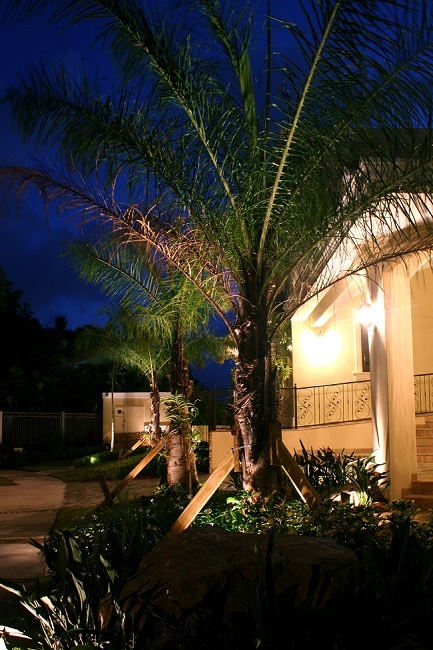 Our outdoor lighting designs are sure to make your humble abode worthy of more than just a second look! Visit our architectural lighting photo gallery and our landscape and garden photo gallery located on our website for more outdoor lighting inspiration. 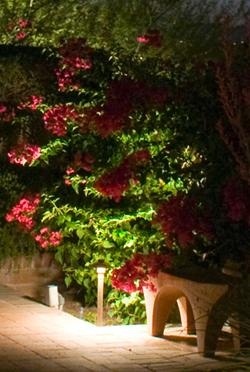 Landscape and garden lighting can extend the hours you can enjoy your garden. After the holidays wind down many people set their sights on looking forward to not only the prospect of a new and improved year, but also a new spring. The appeal of springtime is universal whether you live in the far reaches of Alaska, or along the sunny shores of Hawaii. Spring signifies a renewal of the earth and presents us with a flurry of new colors to enjoy in our gardens and throughout our landscapes. San Antonio residents are lucky enough to experience the beauty of spring throughout the year, because of the absence of frigid temperatures and a constant warm climate. San Antonio’s average annual median temperature is about 70 degrees, perfect for planning and planting. Spring is still a time when San Antonians cultivate and plan their gardens, borders and other additions to the landscape. With this in mind, planning on how to showcase those new plantings, as well as existing ones, is just as important a detail as deciding what shrubs and flowers to place in these areas. Landscape lighting enables you to enjoy areas within your landscape at night that were once only functional during the day. The best way to amplify the beauty of your gardens and landscape is through the addition of outdoor lighting. If your garden and landscape plantings are easy on the eyes during the day, by adding garden and landscape lighting you can transform these areas into a magical space in the evening. Garden and landscape outdoor lighting is not only coveted for its aesthetic appeal but having a well-lit landscape will also enable you to take advantage of utilizing your property to its full advantage. Imagine being able to enjoy the beautiful fruits of your labor with no constraints in the beautiful rose garden that you worked so hard to cultivate. Imagine being able to play lawn games such as croquet, or horseshoes while hosting an evening barbecue for friends and family. The possibilities that professional garden and landscape lighting encompass are endless. The vibrant hues of this ornamental tree come to life under the spell of garden lighting. Landscape and garden lighting adds value to your home and property while adding the finishing touch to your landscape design. 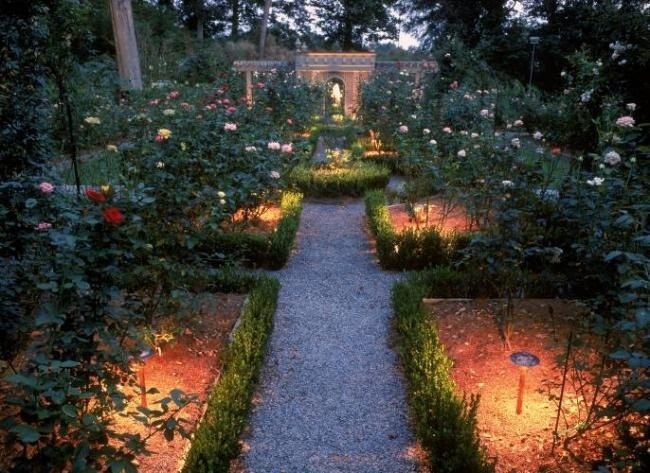 Adding low-voltage landscape and garden lighting such as our LED lighting will save you money in operational costs. Low-voltage lighting consumes about 1/3 the electricity compared to traditional systems and is more environmentally sustainable from a “green” perspective. 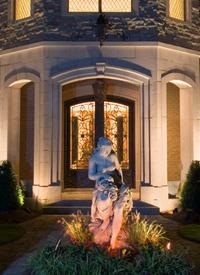 From rose gardens, to statuary, our landscape and garden lighting brings your landscape to life in the evening. If you are ready to begin planning new additions to your San Antonio garden and landscape don’t leave out the part that will make these areas the most memorable. 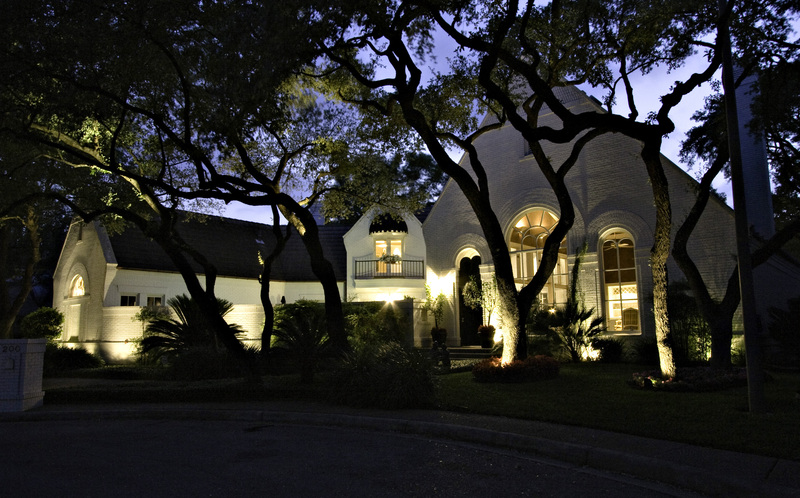 Contact Outdoor Lighting Perspectives of San Antonio and The Hill Country to discover the best kept secret to achieving the ultimate benefit from your evening landscape. This home is the epitome of both professional outdoor lighting, and professional outdoor holiday lighting. The holidays are a magical time of year. From the feeling you get when you pull up a driveway lined with trees lit in the festive colors of the season, to riding through the neighborhood and slowing down to linger in the enchantment of a beautifully adorned home all aglow with elegant white Christmas lights. This is the stuff that Christmas memories are made of. The ethereal beauty that holiday lighting is famous for. With the holidays soon coming to an end, the lights will soon come down and lay in wait until next year and with this many miss the sparkle and shine that holiday lighting adds to their lives. Outdoor Lighting Perspectives of San Antonio and The Hill Country want to remind you that the magic doesn’t have to end. Outdoor lighting can provide endearing beauty and enhanced safety and security throughout the entire year. Professional outdoor lighting can bring back the magic for every season, and every month of the year. Outdoor Lighting genres such as water feature lighting add magic to your home and landscape year round. One of the most memorable elements outdoor lighting such as landscape lighting, tree lighting and even architectural lighting will provide is a stage for the changing seasons. As your landscape changes, your outdoor lighting will be there to illuminate each drama as it unfolds. This can include lighting that emphasizes a perennial flower garden that changes with each colored bloom and bud, or a line of flowering trees that transform from green to whimsical pink blooms from one season to the next. Even a climbing ornamental vine that was lovingly planted near the entrance to your home will change personalities from spring to fall.Your architectural lighting will be there so you won’t miss a single scene of the action. Even though your outdoor lighting stays in the same place, the area it illuminates evolves, as does the visual imagery it illuminates. See how outdoor lighting can add magic to your home and landscape for all seasons? The benefit of outdoor lighting doesn’t end with “just another pretty face”. It also enhances the safety and security of your home and landscape. By adding outdoor lighting you create a more secure area to enjoy outdoor activities. Security lighting such as path lighting can even makes the trip to your front door more secure because you no longer have to muddle around at a dark entrance to find your keys. By adding lighting you introduce ease and convenience as a way of life. Research also indicates that outdoor lighting reduces the chances of falling victim to crime because a well- lit home is less likely to become the target of unsavory activity. Burglars will pass by a home that cannot facilitate their activity under the veil of darkness. Merry Christmas from Outdoor Lighting Perspectives of San Antonio! Outdoor lighting can be as magical and diverse as the lighting we enjoy throughout the holiday season. Unexpected washes of ambient light can transform your home and landscape into the picture perfect place you have always dreamed. Contact Outdoor Lighting Perspectives of San Antonio and The Hill Country to learn more, and to schedule your night-time demonstration right away. You can see more inspiring outdoor lighting images by visiting our landscape and garden lighting gallery, and our architectural lighting gallery located on our website. Outdoor lighting is one of the elements of good outdoor living design that can make a huge impact. Professional outdoor lighting can take a beautiful space by day and turn it into a breathtaking space by night. Outdoor Lighting Perspectives of San Antonio and the Hill Country specialize in inspiring homeowners to fall in love with their home all over again. A special blend of landscape and garden lighting mixed with architectural lighting and facade lighting may be just the mix to change your mood. We have reserved a front row seat to a journey of outdoor lighting that will inspire and delight. Contact Outdoor Lighting Perspectives of San Antonio to help turn your reality into a surreal point of beauty in the evening. We can even schedule a night-time demonstration custom made for you. We are the Outdoor Lighting Perspectives Franchise in San Antonio, bringing the finest quality landscape lighting solutions to the Texas Hill Country. Free night-time demonstrations!